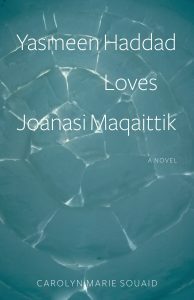 (Montreal, Oct. 10, 2017) – Robin Philpot, publisher of Baraka Books, is pleased to announce the launch of Yasmeen Haddad Loves Joanasi Maqaittik, the unsettling debut novel by acclaimed poet Carolyn Marie Souaid. The novel traces the journey of a young Syrian-Canadian woman, whose appetite for adventure leads her to a teaching job in the imagined Northern Quebec village of Saqijuvik. The author, who also taught school along the Hudson-Ungava coast of Nunavik during the 1980s, admits the novel will be “challenging for some readers.” That’s because “instead of the ideal, pristine Arctic of her fertile imagination, the main character uncovers a contradictory world of igloos and pool halls, Sedna and Jesus, raw caribou and alcohol,” explains Souaid. The novel has already received a Starred Review from Foreword Reviews. A tale of powerful love and potent lust, and of self-discovery in the face of the unknown, the book also explores the attempt to bridge worlds and cultures. Set in Northern Quebec, it pushes past the standard narrative of southerners bringing ‘civilization’ to a people who have survived in the most unforgiving of environments for over a thousand years. Carolyn Marie Souaid is the author of seven previous books. She has performed at festivals and literary events in Europe, Canada and the U.S. and her work has been translated into French, Arabic, Spanish and Slovenian. Blood is Blood, written and produced with Endre Farkas, won a top prize at the 2012 Zebra Poetry Film Festival in Berlin. She has been shortlisted for the A.M. Klein Prize For Poetry and the Pat Lowther Memorial Award and is the recipient of numerous arts grants, including a seven-week residency at the Banff Centre in 2013. 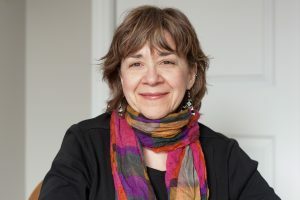 Her poems and short stories have appeared in magazines including The Malahat Review, The New Quarterly, and the Literary Review of Canada, and have been featured on CBC-Radio. She lives in Montreal, where she works as an Academic Counsellor to Inuit students from Arctic Quebec who have come down from the North to attend college.